"the indefatigable Perkins has assembled some genuine rarities for our delight"
"Perkins is a compelling advocate of the instrument"
"His beautiful sound and effortless dexterity all work towards making the music gently caress the ear"
"I admire Perkins' playing very much; it is expressive and highly polished"
"very beautiful—a lovely example of music-making"
"Perkins brings out the fun in much of the inspiration as well as the lyrical beauty, warmly accompanied by the Camerata"
Laurence Perkins was born in Lancashire in 1954, and studied at the Royal Northern College of Music in Manchester between 1970-76 with Charles Cracknell, principal bassoonist in the Hallé Orchestra.. 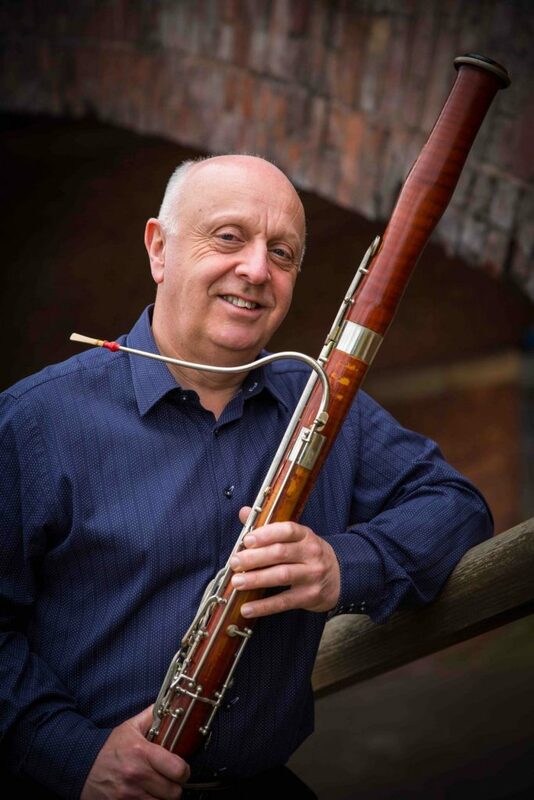 He joined Manchester Camerata as their principal bassoonist in October 1974, finally leaving in June 2017 to pursue more chamber music and solo playing, alongside his on-going work promoting the bassoon. During his 43 years with Camerata he performed in concerts throughout the UK (including the BBC Proms) and on overseas tours including France, Germany, Portugal, Norway, the Azores Islands, Hong Kong, Macau, Australia and Japan. Laurence has given many solo concert performances throughout the UK and Europe, including recitals at the Wigmore Hall and the Purcell Room in London, concertos with the English Chamber Orchestra (at St. John’s, Smith Square) and with Manchester Camerata, and numerous overseas concerts including France, Portugal and Prague. Laurence’s solo CDs for the Hyperion label include a disc of concertos with conductor Douglas Boyd which received a five-star rating in the BBC Music Magazine, with the Mozart Concerto being a top selection in Building a Library on the BBC Radio 3 Record Review programme. A CD of shorter, lighter pieces “The Playful Pachyderm” with the New London Orchestra conducted by Ronald Corp received outstanding reviews in the national and international media. His latest recording is of music by Beethoven, Glinka and Richard Strauss, where he is joined by clarinettist Sarah Watts, pianist Martin Roscoe and the Royal Scottish National Orchestra conducted by Sian Edwards, scheduled for release in Autumn 2018. Laurence is bassoon tutor at the Royal Northern College of Music in Manchester, and at York and Nottingham Universities. He has also been a regular bassoon and chamber music tutor at many summer schools and courses in the UK and overseas, including Aberystwyth, Malvern, Sherborne, Dartington, Alston Hall in Lancashire, Kammermusik in Oxford, and Cubertou in the south of France. 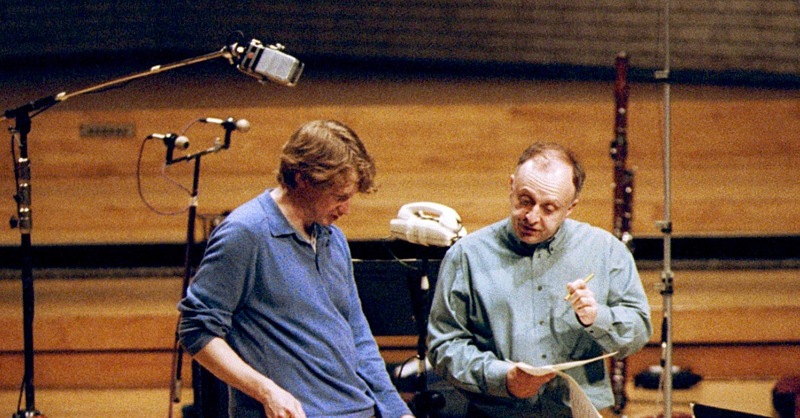 Laurence with conductor Douglas Boyd, in recording sessions for the Hyperion Bassoon Concertos CD. The Mozart Concerto K.191 performance on this CD was a top recommendation on the BBC Radio 3 Record Review programme ('Building a Library', comparing all available versions of the work). The CD received outstanding reviews in the international media, and has been broadcast by the major classical radio stations worldwide. Hear a sample of the slow movement - click below.